Macau casino resort Studio City, promoted by Melco Resorts and Entertainment Ltd, is to launch a new show called “Elēkrŏn”, developed in collaboration with globally renowned entertainment architects Stufish. 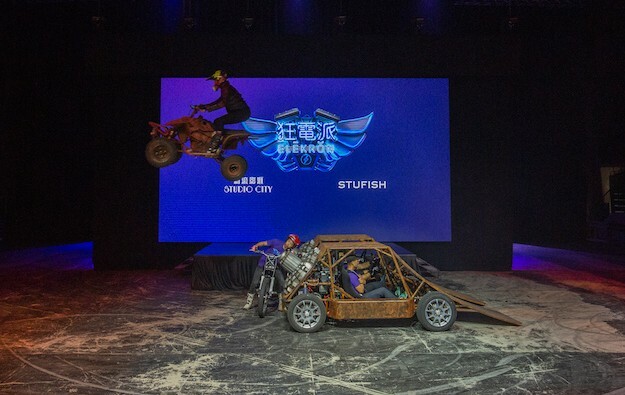 The show – described in a press release as “the most electrifying stunt show in the world” – will run from December 14 to March 31, 2019, said Melco Resorts. Elēkrŏn is described as a 75-minute “non-stop performance”, with more than 150 people involved in its production. The performance features more than 70 custom-made vehicles of different kinds, “all engaged in a succession of daredevil feats that take place at super close range to the audience,” according to the promoter’s release. Frederic Winckler, executive vice president and chief marketing and brand officer of Melco Resorts, said during a Thursday press conference: “Elēkrŏn is a crazy, death-defying stunt show, like you have ever seen before.” He added that the company will further enhance its “portfolio of unique attractions following the tremendous success of The House of Dancing Water.” The latter is a resident show at City of Dreams Macau, a property also operated by Melco Resorts. 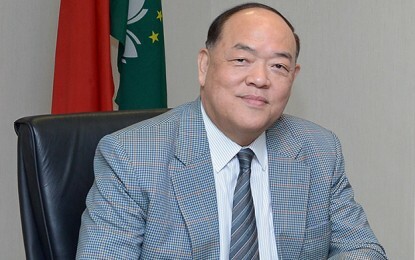 “With the launch of Elēkrŏn, we are going to bring a whole new audience, not just to Studio City, but to Macau,” added Mr Winckler. Elēkrŏn is produced in collaboration with entertainment architects Stufish. The London-based company specialises in stadium concert stage designs; it created the concepts for the opening and closing ceremonies of the 2008 Beijing Olympics. “We are thrilled to combine Stufish’s powerful entertainment background with Melco’s impressive track record of delivering world class shows,” said Stufish chief executive and design director Ray Winkler. Melco Resorts has been expanding the company’s non-gaming offering, most recently with the opening of an e-Sports venue at Studio City. Mr Winckler said during Thursday’s press conference that Melco Resorts has been a “pioneer” in the entertainment sector in Macau, and will “continually offer our guests more and more experiences that they won’t get anywhere else, not just in Macau, not just in Asia, but in the world”.